Michael S. Higgins, D.D.S. is a highly trained and respected anesthesiologist who partners with Dr. Angelo on cases that need more advanced levels of sedation. Dr. Higgins attended the University of Illinois College of Dentistry to obtain his Doctor of Dental Surgery degree. He then completed his Hospital General Practice Residency at the Catholic Medical Center in New York and his General Anesthesia Residency at the Illinois Masonic Medical Center in Chicago. He has been a Fellow of the American Dental Society of Anesthesiology since 1982, and a Diplomat of the National Board of Anesthesiology since 1995 and the American Dental Board of Anesthesiology since 1996. These honors show his commitment to excellence above and beyond what is required of most dental anesthesiologists. Dr. Higgins has also served as an Associate Clinical Professor of Anesthesiology at the University of Illinois College of Medicine & Department of Anesthesiology. 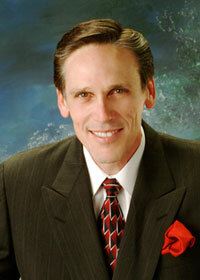 Since 1982, he has also been the Attending Anesthesiologist at the University of Illinois Hospital Eye & Ear Division. Part of his time has been dedicated to working as a consultant for the Anesthesia Review Panel at the Illinois State Board of Dentistry. He still consults for the Illinois Department of Professional Regulation.